Individuality Is What Defines This Exquisite Line Of Hand-Blown Glass. This Ancient Technique Of Fine Craftsmanship Ensures That Quality And Originality Is At The Heart Of Every Piece. Each Piece Is Meticulously Hand-Blown With Up To Three Layers Of Uncompromising Beauty And Style. This Art Is Performed Only By Skilled Craftsmen Who Uphold The Highest Standards To Ensure A Unique Identity Throughout Each Layer. The Special Technique Of Layering Allows Light To Spread Evenly Across The Glass Resulting In A Warm Glow Over The Entire Surface. The Illuminare Glass Collection Offers A Choice Of Many Unique Designs In A Variety Of Colors And Styles, Allowing These Italian Inspired Works Of Art To Be Adaptable To Any Decor. 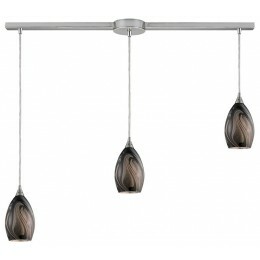 The ELK 31133/3L-ASH Formations collection Pendant Lighting in Satin Nickel uses Incandescent light output and brings Contemporary style. The total wattage is 180 and the voltage is 120 volts. 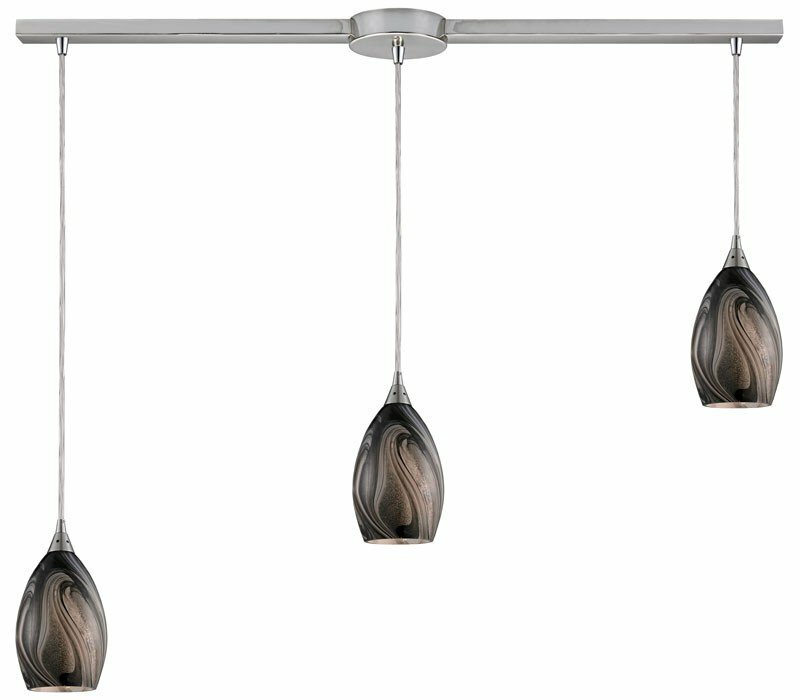 The ELK Lighting 31133/3L-ASH requires 3 bulbs (not included). Additional Information: Shade-Ashflow Hand-Made Glass.